Avacodo is probably not what you think of when you think of a baby’s first food, but avocados are a really great food for babies to try first. They have a mild taste, have a creamy smooth texture, and are very nutritious. They are loaded in vitamins, minerals, and essential fatty acids. 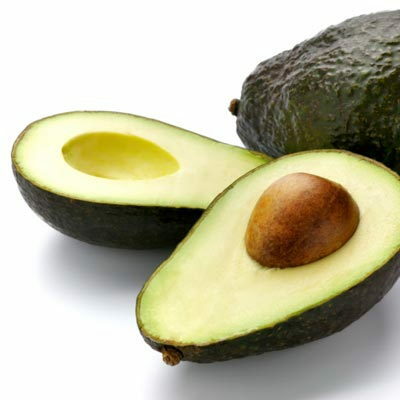 One half cup of avocado contains 6% of the recommended dietary allowance, RDA, (for 7-12 month old infants) for iron, 128% RDA for folate, 966% RDA for Vitamin K, 45% RDA for Vitamin E, and 83% RDA for potassium. Avocado is also a good source of lutein which is an important antioxidant that helps with eye, vision and skin health. Bananas are a terrific first fruit. They are sweet like breast milk, creamy, easy to digest, and are great sources of fiber, potassium, Vitamin C, and B6. Make sure that the bananas you give your baby are ripe. The ripening process makes them softer and easier to digest. 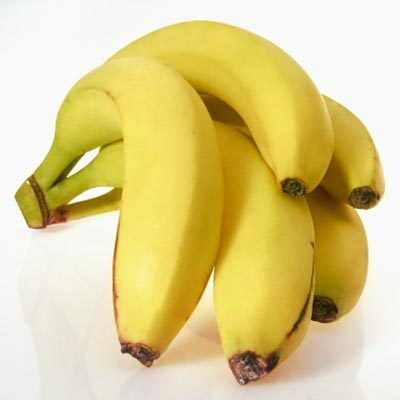 Ripe bananas have antacid-like properties that work with your body’s own stomach mucus making it thicker and more protective. They also help promote the good (probiotic) bacteria in your baby’s intestines, which improves bowel health and helps your baby to absorb more of the nutrients in foods as they pass through the intestines. Full of antioxidants, phytonutrients, fiber, and Vitamin A and C, butternut squash makes a perfect powerhouse food for your baby. Caretenoids, like beta-carotene, and other phytonutrients found in orange fruits and veggies are important for cell health and may strengthen your baby’s immune system. 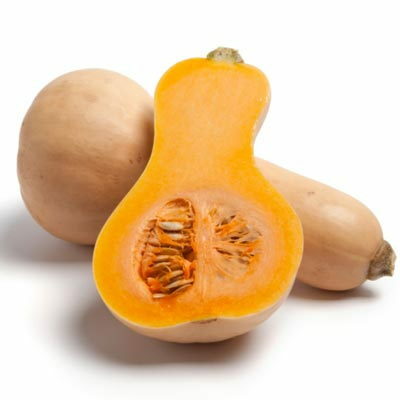 Babies like the sweet, buttery flavor and the fleshy texture of butternut squash. Cut into cubes and baked, they make an easy finger food treat for your 4-to-six-month old. Carrots may not put hair on your chest like you dad used to tell you, but they are packed with nutrients that will make your baby strong and healthy. One half cup serving of carrots is a complete source of Vitamin A, with over 600% of your baby’s RDA for Vitamin A. Vitamin A and carotenoids found in carrots are important for healthy eyes and vision. 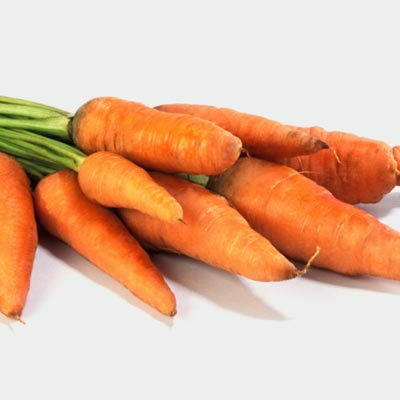 Carrots are also a good source of Vitamin K, providing over 100% of your baby’s RDA per serving. Vitamin K is needed for healthy blood clotting. Served steamed (until soft), your baby can easily pick up, eat and enjoy these naturally sweet and tasty veggies. Apples, packed with fiber and antioxidants, are a yummy and healthy treat for babies. Apples have numerous health benefits. 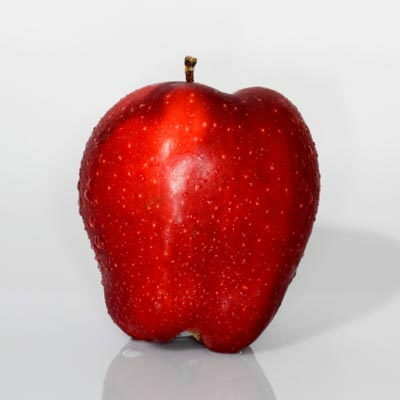 Researchers have found that the phytonutrients in apples may aid in blood sugar regulation. In addition, the antioxidant-rich fruit may give your baby’s immune system a boost. Like bananas, apples are easily digested, and the pectin found in apples may increase the amount of good bacteria in your baby’s gut. Before feeding apples to your baby, you will want to peel and soften them first by baking them in the oven, steaming or microwaving. Multi-textured broccoli, with its soft chewy stalk and bumpy floret, provides your baby with a different taste and texture than other first foods. 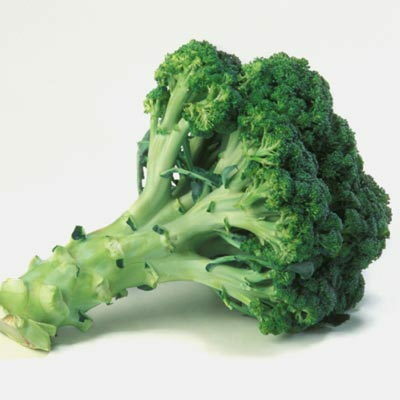 Broccoli has a mild but slightly bitter flavor. By introducing broccoli to your baby early on, you may help him learn to love this veggie, often hated by kids, and insure that he grows up eating a variety of healthy fruits and veggies. Just one spear of broccoli has over half the Vitamin C your baby needs in a day, 12 times the Vitamin K, and 5 percent of the iron he needs. Broccoli is best served steamed for maximum nutrition benefits and to prevent choking. Asparagus is another powerhouse vegetable, loaded with fiber, iron, and Vitamins A, C, E, K, riboflavin and folate. Its sweet crunchy flavor and easy to grasp shape make it an ideal first food for babies. Asparagus is made up primarily of carbohydrates but is also a good source of protein. One carbohydrate found in asparagus, inulin, is an excellent “fuel” for the bacteria Lactobacilli and bifidobacteria in your baby’s intestines. These two bacteria aid in nutrient absorption and may lower your baby’s risk of allergies and eczema. 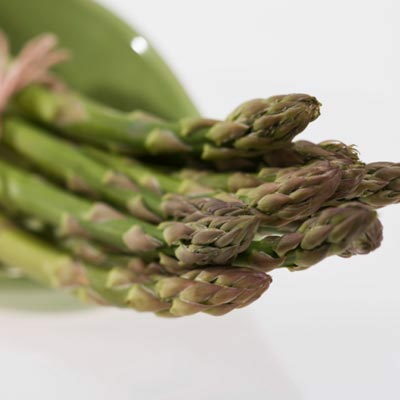 Steam or saute asparagus in water until soft before serving. 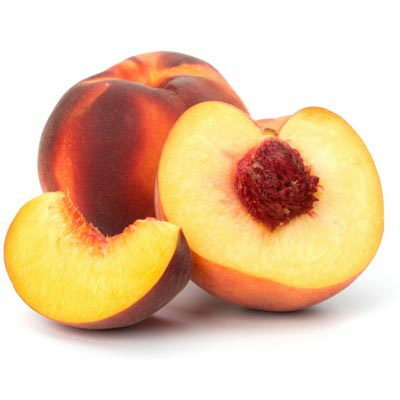 Peaches are a great first fruit because they are very nutritious and have a little of everything. They are good sources of Vitamin A, C, E, and K, as well as potassium, and fiber. Peaches also contain two important carotenoids, lycopene and lutein, which may protect your baby from cancer. Before feeding your baby this juicy delight, it’s important to note that the cooking process may reduce the nutritional value of peaches by as much as 80 percent. If you find soft ripe peaches, there should be no need to cook them. However, if they are too firm or crunchy this could pose a choking hazard and baking or steaming may be necessary. Steamed or baked, cut into fries or cubes, sweet potatoes are an ideal first food for babies. They are naturally sweet, colorful, and an excellent source of Vitamin A. 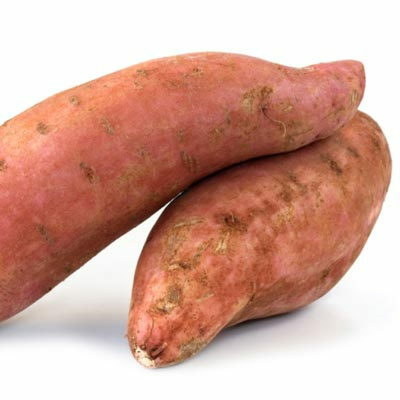 One serving (about a cup) of sweet potatoes also has 6% RDA for Vitamin C, 100% RDA for Vitamin B6, 64% RDA for potassium, 13% RDA for zinc, and 15% RDA for calcium. Once your baby is over six months, you can add a little butter or olive oil to sweet potatoes to make them more flavorful and nutritious. Researchers have found that adding a little fat to sweet potatoes (at least 3-5 g) helps your body to absorb more of the beta-carotene in sweet potatoes. Green beans, while not an orange or leafy green veggie, may not seem to be the most nutrition-dense vegetable, but they have some little known health benefits that are important for your growing baby. 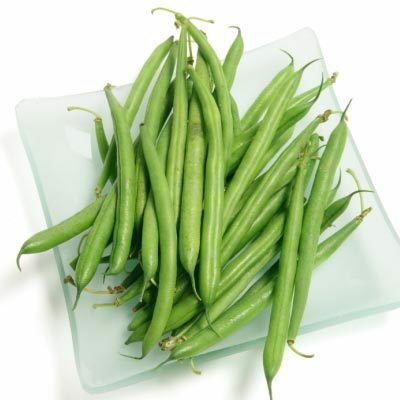 Green beans provide your baby with an ample amount of Vitamin A, C, K and folate. They are also a good source of iron, magnesium, and potassium. Silica, a mineral that doesn’t get much mention, is also found in green beans. Silica, along with Vitamin K, helps your baby to grow strong healthy bones. Green beans should be steamed or boiled in a small amount of water (until soft but not mushy) before serving.